Joo Lee (Julie) is a Southern California native who spent her undergraduate and medical school years braving cold East Coast winters in New York City. 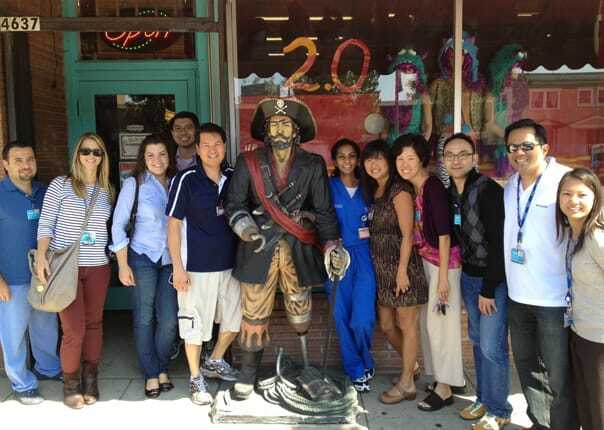 She completed her pediatric residency at Children’s Hospital Los Angeles. Her academic interests include education, simulation, and resuscitation medicine. Outside of the hospital, she enjoys spending time with her husband, cooking (with a particular love INA Garten recipes), traveling, and hiking. Courtney completed her medical degree at the University of California, Irvine and her pediatric residency training at the Children’s Hospital Los Angeles. 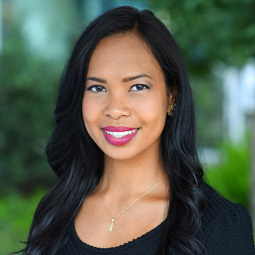 Accustomed to the California sun, she was thrilled to stay on as a pediatric emergency medicine fellow at CHLA. Her academic interest includes quality improvement and education, and she has an interest in pursuing sepsis research. Outside of medicine, Courtney enjoys running and competing in half marathons, travel, and spending time with her friends and family. Jess was born in New York and grew up in Raleigh, NC. 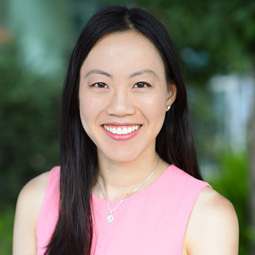 After finishing Pediatrics residency at John Hopkins Hospital in Baltimore, MD, she worked as a Pediatric Oncology Hospitalist in New York and then as an urgent care physician in the Hopkins Emergency Department. She has really enjoyed her first year on the West Coast and at CHLA. Her academic interest includes efficiency and flow management, cost effectiveness, and administration. When she’s not a the hospital, she lies to spend her time exploring LA restaurants, going to the beach, traveling to visit family and friends, and watching Ravens football. Arshad completed his residency at Children’s Hospital Los Angeles in Pediatrics and stayed on for an additional year as Chief Resident. He is interested in studying the causes and effect of stress in the Emergency Department on the staff and how to best alleviate this stress. Outside of work, Arshad loves to try new restaurants, hike/bike, and cheer for the Lakers and Rams! Bahar grew up in Texas where she went to college and medical school. Whe she was applying for residency, she decided it was time to explore the world beyond The Republic of Texas. She completed her pediatrics residency at Children’s National in Washington, DC. Continuing her mission to explore the country, she decided to switch coasts to CHLA in sunny Los Angeles. Her academic interests include value based care, quality improvement, advocacy, healthy policy and social determinants of health. When she’s not in the hospital, Bahar enjoys cooking, yoga, spinning, and exploring the sunny, warm outdoor activities of Los Angeles. Cindy Luu was born in San Francisco, California and moved to Los Angeles for her undergraduate and graduate training at UCLA and USC, respectively. She then completed her pediatric residency at Children’s Hospital Los Angeles. Her research interests include education and risk factors for bacteremia in oncology patients. In her spare time, she enjoys salsa dancing, exploring new restaurants, cheering on Bay Area sports, and catching Pokemon. Andrea was born in Los Angeles and attended UCLA for undergraduate studies. She made the move to New York for medical school and residency. She is thrilled to make a second cross-country move back to Los Angeles for fellowship. Her research interests include intussusception and ultrasound. Her interests outside the emergency room include amateur photography, cooking, playing and watching tennis, and travel. Brad was born and raised on Long Island in the great state of New York. 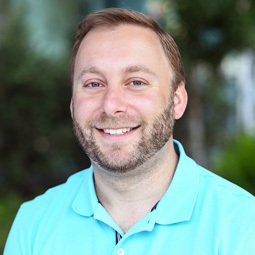 After completing his undergraduate degree in microbiology at the University of Rochester he traveled to Tel Aviv, Israel to obtain his medical degree. He went on to residency and a chief resident year at Stony Brook Children's Hospital back on Long Island. Academic interests include disaster medicine and mass casualty preparedness. Outside of work Brad enjoys bike touring, camping, playing squash, and fine foods. Krysten is originally from the island of Jamaica, from where she moved to attend college and medical school in New York. After surviving the snow and cold, she moved to Miami to complete her pediatrics residency and stayed an additional year as Chief Resident. Krysten is very excited to move across the country to complete fellowship at CHLA. Her academic interests include international medicine and identifying barriers to providing care in underdeveloped countries. Krysten enjoys traveling, dancing, Broadway shows, and eating.